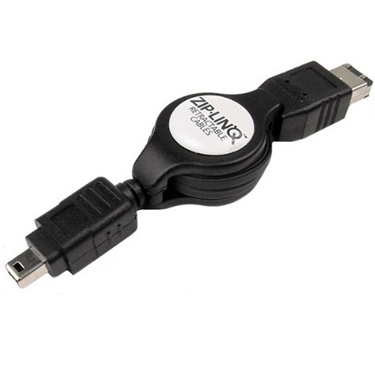 Connector 1 type A USB to Gameboy Connector. 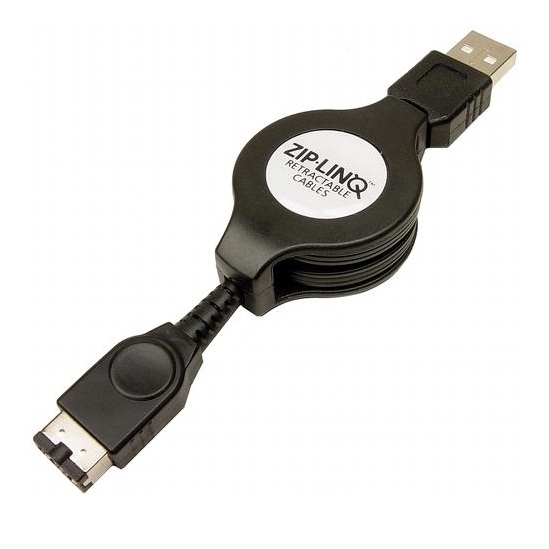 The Cables Unlimited ZIP-DATA-P41 Retractable LG Mobile 4 Charge and Synch Cable-Black is access the Internet and check e-mails while on the go, personalize their cell phone with ring tones and images and stay in sync with their appointments in Outlook. 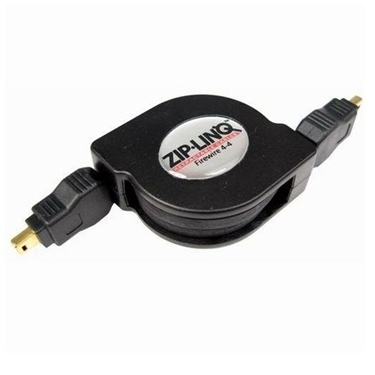 The ZipLINQ ZIP-1394-C07 Retractable 6Pin to 4Pin Firewire Cable is uniquely designed retractable FireWire cable offers you a compact and portable solution for connecting all of your FireWire devices. 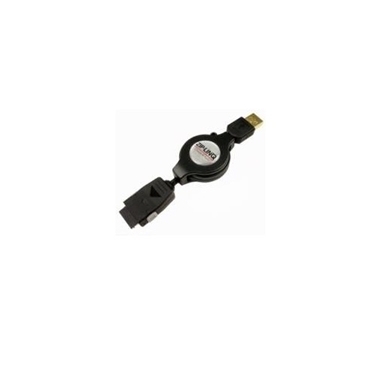 This ZipLINQ ZIP-1394-C08-AB Premium Retractable 4Pin to 4Pin Firewire Cable provide the high-speed connection needed for todays high performance Firewire peripherals to communicate with a PC.